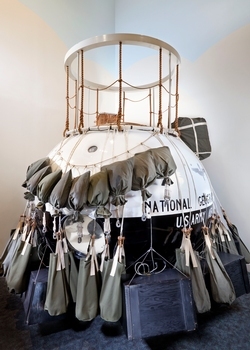 Before the dawn of the space age, balloons offered one great advantage over airplanes—they could climb to the very roof of the sky, where there is too little air to provide lift for wings or to support air-breathing engines. 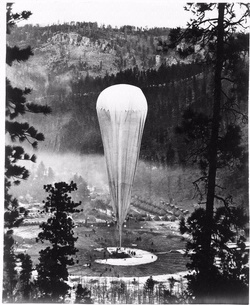 As a result, these lighter-than-air craft promised to become essential research tools opening the way to the study a variety of geophysical phenomena in the upper atmosphere. Between 1875 and 1927, several balloonists died climbing to altitudes where the air was too thin and the air pressure too low to support life. 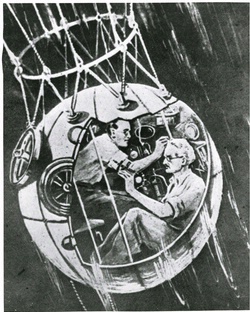 In 1932 Auguste Piccard, a Swiss researcher, designed and built the first pressurized high altitude balloon gondola that would enable scientists to rise safely into the stratosphere. He launched the modern era of high altitude ballooning with an ascent to a world record altitude of 16,002 meters (52,500 feet). For the next three years, several nations raced to achieve ever higher altitudes. 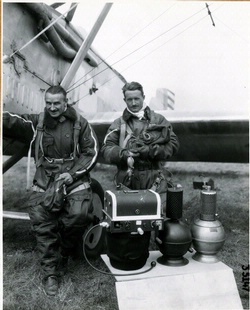 On November 11, 1935, U.S. Army Captains Albert W. Stevens and Orvil Anderson ascended in the balloon Explorer II to an altitude of 72,395 feet, establishing a world altitude record that would stand for two decades.